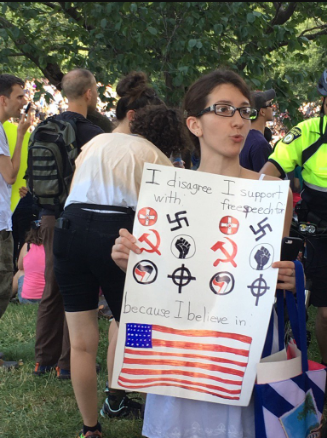 Thousands of counter-protesters crammed Boston Common and marched through city streets on Saturday morning in efforts to drown out the planned “free speech” rally. The aim was to precent white supremacists from talking. Free speech for Nazis is free speech for anti-Nazis. You cannot have one without the other.